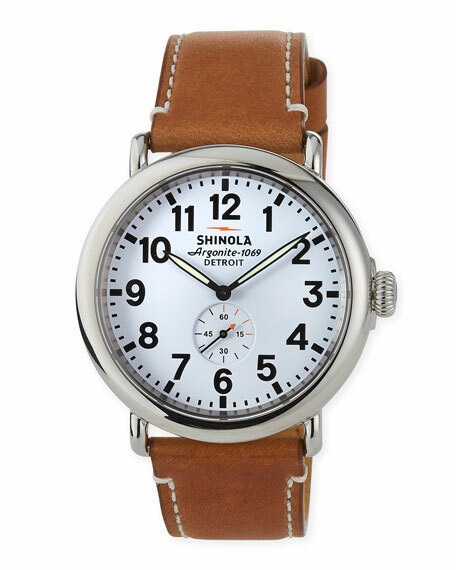 Shinola men's watch from the Runwell Collection. 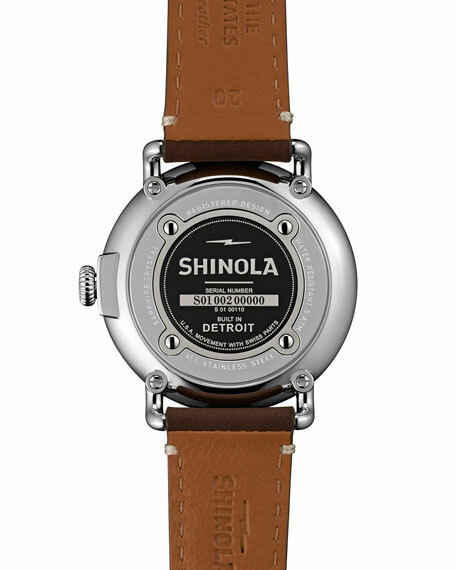 Topstitched dark brown leather strap with buckle. 34mm cream dial with Arabic numerals, hour markers, and luminous hands. 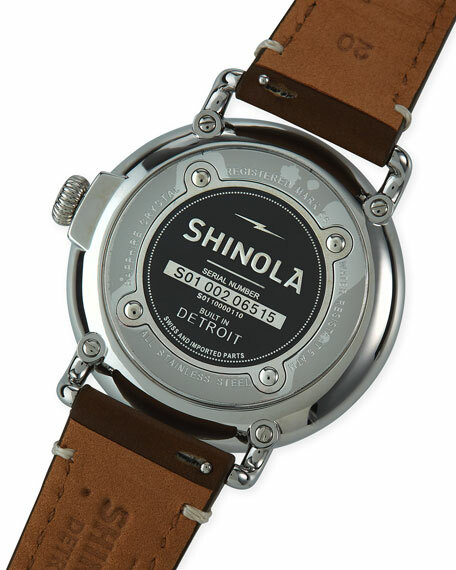 Detroit-built Argonite 1069 quartz movement with Swiss parts.